Procore takes sales leaderboards to the next level by displaying nine 52-inch flat screens on the sales floor. You’re a modern sales leader. You’re equipped with a solid sales stack. You run a data-driven sales team. Basically, you’re killing it right now. But could you be doing more? You can always be doing more. Dan Miller-Smith is the Director of Sales Development for Procore Technologies. He recently told us how they went above and beyond with their KPIs to improve their sales processes. When defining sales KPIs, you know you can’t simply pick random metrics and decide to measure them in an effort to gauge performance. Well, you can, but you can’t count on that to improve sales performance. Procore took this a step further. They looked into the historical data of the day-to-day activities of their best performing salespeople. After determining which actions drove revenue-generating sales behaviors (conversations, meetings, demos, etc. ), they reverse engineered the process to determine how much of each action leads to closing a deal. This ensures each of your KPIs is based on previous performance, instead of just a shot in the dark. You already know that you need to create visibility around your KPIs. Give your team access to the KPI data, and display your pacing on a whiteboard or TV (or nine 52-inch flat screens, like Procore). Whatever floats your boat. But Procore puts the power of moving metrics in the hands of its salespeople with personalized scorecards. The scorecards measure KPIs for each individual salesperson, not just the whole team. This gives each salesperson radical clarity into which sales activities he or she needs to focus on each day, as well as more insight into where the rep is moving ahead or falling behind. What’s more, the scorecards are native to Procore’s CRM system, Salesforce. So they are displayed front and center in the user interface. This keeps the sale reps’ KPIs at the forefront of their attention at all times. Modern sales leaders have learned that one-on-one sales coaching is much more effective when it’s based on metrics. The same holds true for overall sales team management. Procore makes sure that they’re not just coaching around metrics, but rewarding their reps for KPI progress, by having a sound system set up throughout the office that plays music any time the team gets closer to their revenue goal (i.e. closing a deal, scheduling a demo). 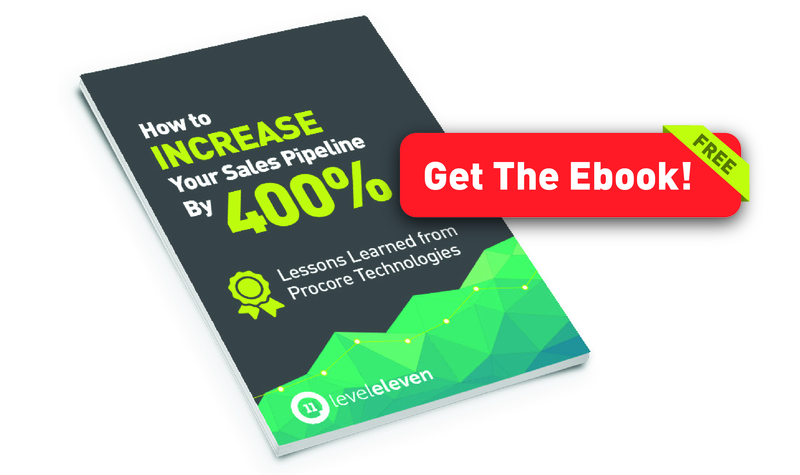 In addition, Procore’s sales leaders include key executives on CRM dashboard notifications emailed out to highlight which sales reps are performing exceptionally well. This often leads to a personalized email from an executive or a call-out during company events. You’re a modern sales leader. You’re equipped with a solid sales stack. You run a data-driven sales team. But could you be doing more with your sales KPIs?